Ground Fault Interrupters (GFIs) are used as shock solutions that prevent electrocution, typically installed as part of a circuit breaker. G & H Electrical Contractors and Consultants, Inc. offers GFI electrical outlet installation and GFI electrical repairs. 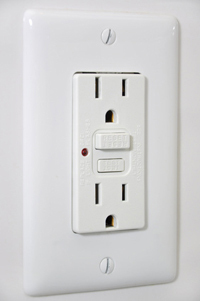 Our Douglasville electrical outlet repair experts are able to repair, install and even help you pick out GFI outlets for your Douglasville home. Our Douglasville electricians are focused on getting the job done right the first time. The job is not done until you are 100% satisfied. We provide excellent customer service and strive to provide the best communication throughout your entire electrical project. Call G & H Electrical Contractors and Consultants, Inc. today for all of your electrical GFI outlet repair needs.